James Black was born in Hamilton in 1877. He was a son of Joseph Black and Christina Arnott of Sedgewick Street and later Mt Baimbridge Road. Joseph Black was a contractor and he and Christina had a large family of six boys and five girls. James was a student at Hamilton State School then worked as a labourer. On Friday 23 January 1914, police arrested James Black in the lane beside the former Hamilton Inn in Lonsdale Street. Charged with drunkenness and using obscene language, he faced the Magistrates Court the following day. James insisted that he would not re-offend, but as it was not the first time he had faced the same charges. Previously for the same offence, he was fined £10 8/ or seventeen days jail. James said he was the quietest man in Hamilton, but the prosecution replied that was until he drank alcohol. James was back in court on 20 April 1914 on similar charges and received fourteen days jail. He was then charged with insufficient legal means of support and from the report of James’ trial, it seems that those charges were laid to keep James off the streets of Hamilton. Apparently, he was part of a group of six to seven “young men” who were known as the “pig push” frequenting street corners, asking those passing by for money as well as consuming large amounts of alcohol. Witnesses reported James was rarely seen sober. In his defence, James said he hung around street corners in the hope of meeting up with contractors who could give him work. There seems to have been a push for him to leave town in the past in the hope of possible reform but James told a witness he didn’t want to leave while his brother was so ill. His brother was Robert Henry Black who died on 22 February 1914 aged forty-three. James was sentenced to a further six months jail with hard labour. He was taken first to Ballarat Gaol and then Pentridge Prison where he remained until 9 October 1914. James’ name is on the Central Register of Male Prisoners including a photo, however, his birth year was recorded as 1870. In June 1915, enlistment standards were eased so a man of thirty-nine such as James could enlist. He went to Melbourne on 9 September 1915 and did just that. Answering the question “Have you been convicted on a civil power?”, his response was “only for a minor offence”. That was found acceptable and his application passed. It was another six months before James left Australian shores. In the meantime, he spent time in Warrnambool at the A Company Military Camp. Things didn’t go well there either. On Sunday 21 November, James was found at the back door Victoria Hotel, asking for a drink. He received a fine of twenty shillings. James didn’t pay the fine and on 21 December 1915, he was committed to seven days jail. It is unclear if that time was served. Finally, James embarked aboard the Malwa (below) on 21 March 1916 from Melbourne with the 24th Battalion 11 Reinforcements. 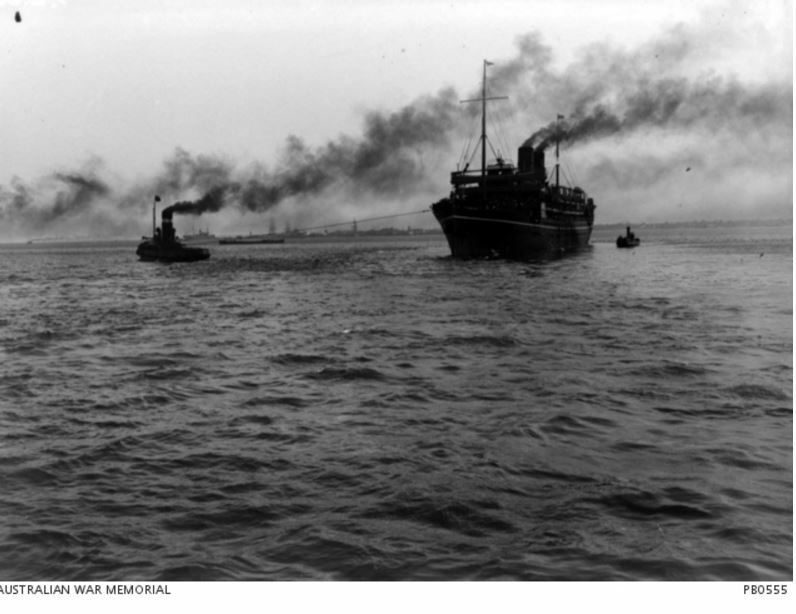 The ship stopped at Fremantle and the men were able to disembark. James, however, didn’t return to the ship in time and it sailed without him. As a result, he was transferred to the 51st Battalion 2nd Reinforcement made up of mostly Western Australian men. They left Fremantle on 17 April aboard the HMAT A60 Aeneas. James disembarked in Egypt in May and in June he was off to France, arriving at Marseilles on 12 June 1916. They were at the Somme, near the village of Herrisart and due to march out at 9:00 am on 29 July but James was Absent Without Leave (A.W.L.) for line march at 8:45 am and arrested at 8:50 am. He was sentenced to Field Punishment No 2 (F.P. No.2)*. On 12 August, James fell ill with influenza and hospitalised. He returned to his battalion, located near Albert, France on 29 August but was charged with drunkenness and violently resisting an MP. He was given 28 days Field Punishment No 1 (F.P. No. 1)*. On 12 October 1916 near Mont St Éloi, France, James was again charged with drunkenness and violently resisting and MP and received F.P. No. 1 for twenty-eight days. James was hospitalised briefly around that time and returned to the battalion on 17 October 1916. The battalion was leaving by train on 26 October at 8:30 pm to Saint-Riquier followed by a march to Gorenflos where they would be billeted. James didn’t make the trip. He was A.W.L. from 26 October to 27 October and then arrested. On 16 November 1916, he faced a court-martial in the field on the A.W.L. charge and found guilty. His sentence was six months imprisonment at the 1st Military Prison at Rouen. He was released on 15 May 1917 and joined the 51st again on 24 May, then at Caëstre, France. On 7 July 1917, James was absent from the Commanding Officers’ parade, receiving F.P. No. 2. On 17 September, while at Hondeghem in Northern France, James was absent from parade and lost five days pay. 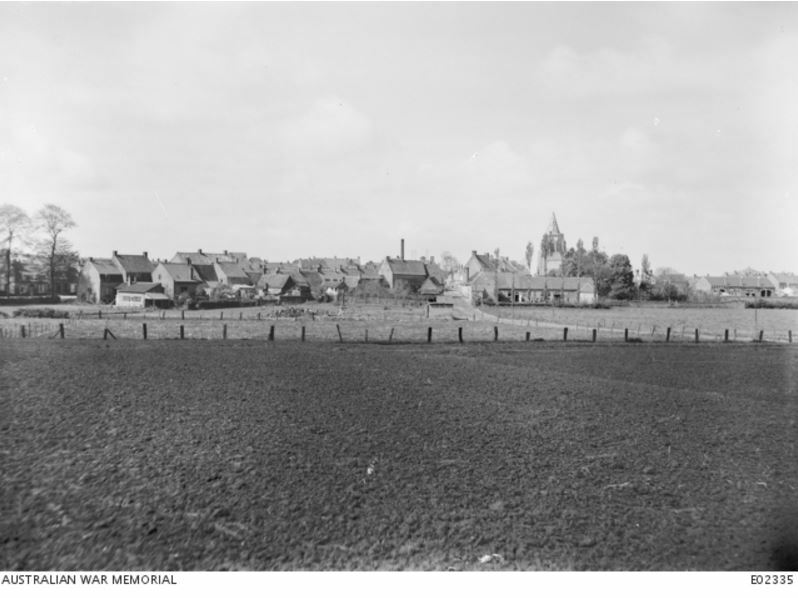 The battalion moved on to Steenvoorde, then Ypres before moving on to Westhoek Ridge on 26 September. It was there James was shot in the hand on 29 September. He was able to rejoin the battalion on 4 October, then back at Steenvoorde. On 5 October, James was again A.W.L. until 7 October. He received seven days F.P. No.2 and lost nine days pay. On 28 November 1917, James was given leave to England and surprisingly and seemingly without incident, he returned to the battalion on 18 December still at the Somme at Templeux-La-Fosse. On 9 January 1918, the 51st Battalion left camp at Moislains catching a train to travel further north to Bailluel, arriving on 10 January. The middle of winter, they enjoyed a hot cup of cocoa from the 13th Brigade’s branch of the YMCA on arrival. They then marched to billets near Pradelles. On the 12 January, the Battalion boarded a train for Elzenwalle, Belgium and marched to Ridgewood camp. James must have fancied something stronger than cocoa and was A.W.L. from 10 January 1918 back in Bailluel, to 13 January, and missed the train. He received 21 days F.P. No. 2 and lost twenty-eight days pay. Again, on 24 February 1918, James was absent from fatigue and given twenty-eight days F.P. No. 2. He was sent to a field compound and returned to his unit on 7 April located south of La Houssoye, France. On 13 April 1918, the battalion’s location was Corbie, France, where they had been since the 11 April. They had enjoyed some rest, washing clothes and cleaning armaments. On the 13th James was drunk again and charged on 15 April, receiving seven days F.P. No. 2 and a fine of twenty-five days pay. That would have seen his punishment end around 22 April when the Battalion marched to Querrieu, France. 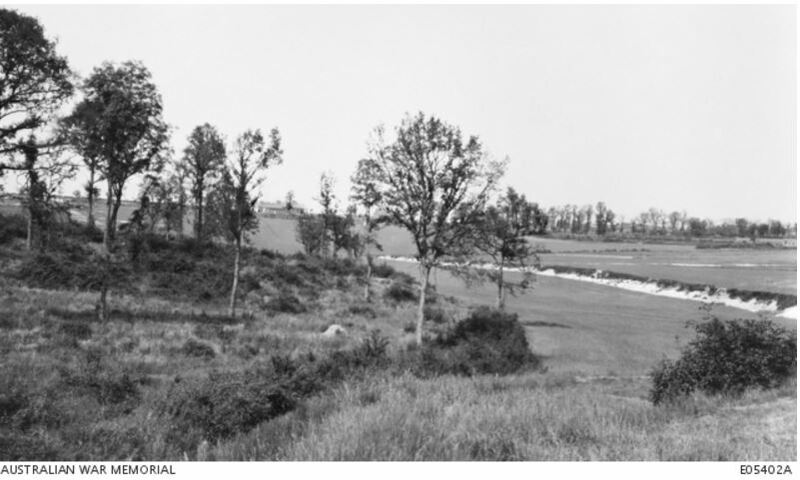 At 10:10 pm on 24 April 1918, the 51st Battalion was part of a counter-attack near the village of Villers-Bretonneux. As soon as the advance began, they were met with heavy enemy machine gun fire. After they had moved 1000 yards the battalion encountered allied positioned wire entanglements. Immediately the battalion was hindered as they navigated the wire while machine gun fire was coming from the woods to the left. There were heavy casualties. The advance continued with further casualties. Sometime during that advance, James Black was killed. There was no record of his burial in the field or cemetery. Joseph and Christina Black heard from the Defence Department relatively quickly after James’ death. It had been a difficult few years, first with the trouble in Hamilton and James’ imprisonment in 1914. Also, learning of James’ imprisonment in France by way of rumours and finally the death of a troubled man who almost made it to the end of the war. Hamilton Spectator (Vic. : 1870 – 1873; 1914 – 1918) 14 May 1918: 4. <http://nla.gov.au/nla.news-article119501930&gt;. James Black’s name is on the Hamilton War Memorial. Including the crimes of James Black, both before and during the war is not to demean his character. Rather than glorify each soldier’s service my intention is to uncover the reality. The reality for James Black was that he was an alcoholic needing help. However, given the times, help meant imprisoning him or running him out of town. His enlistment at thirty-nine is also interesting. As the pressure on men grew to enlist, James would have been one of those targeted. Was the pressure mounting or did he see it as a way to escape Hamilton? James should not have made it through the enlistment process. He even admitted to a minor offence rather than hide his misdemeanours as other men did, using false names. No checking was done to find that James’ “minor” offence led to six months jail. Maybe his intention was to fail so he could say at least he tried. But he slipped through, possibly due to the eagerness for more recruits after the great losses at Gallipoli. After James’ offence in Warrnambool, still, no questions were asked. The AIF’s greatest opportunity to have James delisted was in Fremantle when he missed the ship. 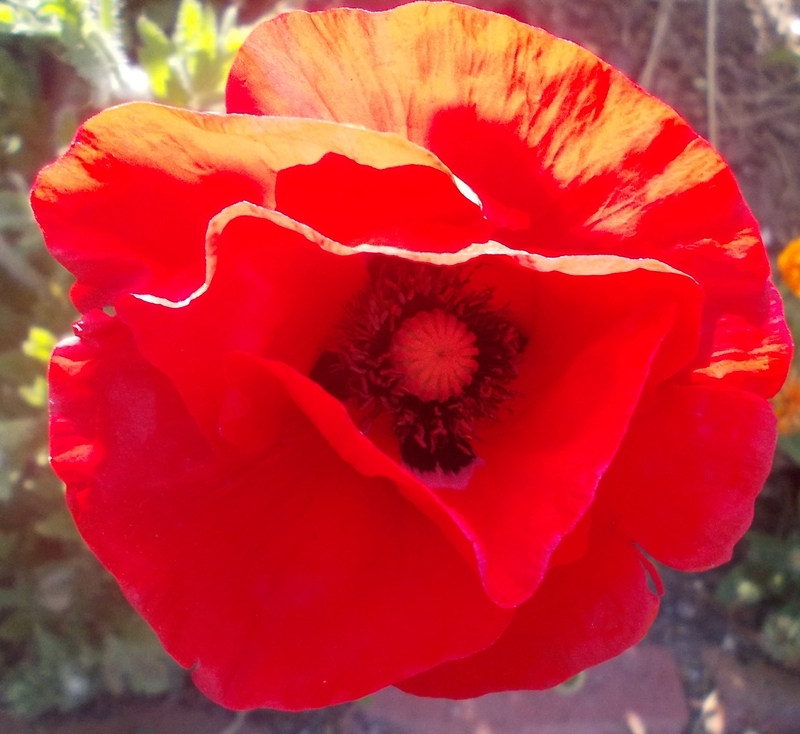 But instead, he again slipped through and went on to spend a harrowing two years overseas, dealing with his alcoholism, imprisonment and the horrors of war, only to finish his life in the fields near Villers-Bretonneux. *Field Punishment – There were two types of Field Punishment (F.P. ), Number 1 and Number 2. Field Punish Number 1 (F.P No.1) consisted of the offender remaining in irons for the duration of his punishment. For no more than two hours each day, the offender was attached to a fixed object, in view of his unit, as a means of humiliation. Hard labour was endured during the punishment period. Field Punishment Number 2 (F.P. No.2) was for lesser offences and involved the offender being in irons for the duration, however, they were at no time, attached to a fixed object.